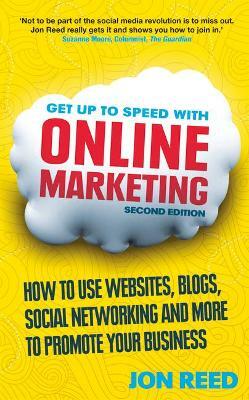 ONLINE MARKETING - CAN YOUR BUSINESS AFFORD TO BE WITHOUT IT? If you want to grow your business, how do you get the word out about your product or service? By going where your market is - and these days, that's online. Covering every major online platform, and some smaller ones too, Get Up to Speed with Online Marketing will show you exactly how to maximise each one and develop a cohesive, effective online strategy with a limited budget, or even for free! Jon Reed is a social media consultant, lecturer, speaker and trainer. He runs the social media consultancy Reed Media, provides web design, branding and marketing services to small businesses and runs a blog and online community for authors and publishers. Reed regularly runs social media workshops, lectures on several university courses and speaks at conferences.